Did someone you know miss their favorite band when they were in town? Go to the show with a friend and didn’t get the Instant Live CD? Someone you know going to a show and hasn’t pre-ordered a CD? 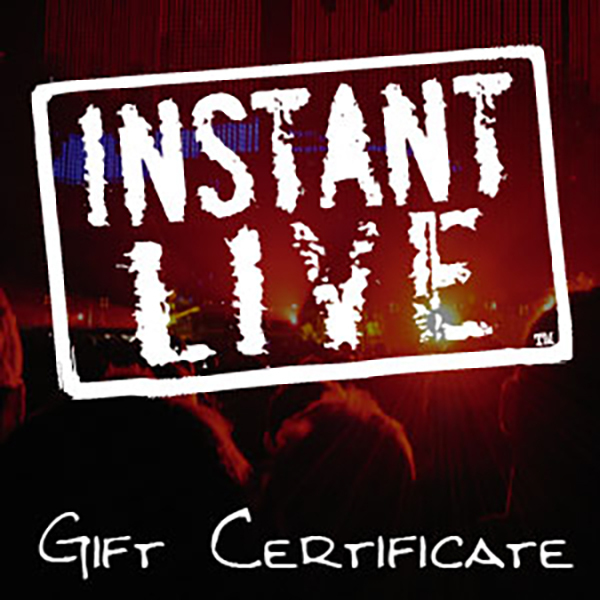 This eGift Card is the perfect gift to send your friends and family so they can pick up an Instant Live CD from our store. These gift certificates are available in $20, $35, $50, $75, or $100 increments.